When it comes to your dentures, you want to put them in the hands of someone you can trust. At Petone Dental Laboratory, Steve Russell understands how important each individual smile is to his patients. 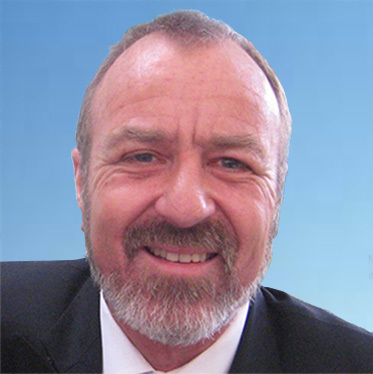 Steve is a Clinical Dental Technician with over forty years’ experience in perfecting and creating those smiles. Whether you are looking for partial dentures or full dentures in Wellington, Steve knows how to guide you through the process. Providing the highest quality dentures requires time, skill and attention to detail. These are just a few of the elements you will experience at Petone Dental Laboratory, creating one of the best dental experiences in Wellington. Steve manufactures and fits patients with full dentures or partial dentures using the highest quality components. His dentures are specifically designed for each individual patient, with a focus on creating a natural looking smile and comfortable dentures. Quality dentures do not only improve the appearance of your teeth and smile but will also improve your confidence and allow you to enjoy the lifestyle you desire. Steve Russell loves watching the transformation of his patients from start to finish, and thanks to his decades of experience, you can trust that he will always be there with accurate advice and in-depth industry knowledge. He understands the importance of customer satisfaction and is always open to hearing your questions, concerns and feedback. Steve is proud to have looked after many happy patients throughout his years in dentistry. There are a number of reasons why you may come to need dentures, from an injury or accident, poor teeth health, trauma or infection. Whatever the reason for your dentures, Steve is the paramount provider of full and partial dentures in Wellington. Having dentures does not have to drastically affect your life, so ensure you choose a qualified clinical dental technician with a thorough understanding of and experience in creating dentures that will improve your lifestyle and confidence. Steve prides himself on providing the best quality dentures in Wellington, direct to the patient. By using the highest quality materials, he ensures that the comfort and aesthetic of the dentures are always first class. Whether you are upgrading your current dentures or need a completely new pair, Petone Dental Laboratory look forward to hearing from you.